You’ve done a tandem jump – or maybe 2 – and now you WANT MORE. This means you’re ready to take the next step to becoming a certified skydiver. Wondering what is involved and what the skydiving license cost is? We’ve got you covered. Learn all about what it takes to become a certified skydiver with WNY Skydiving. 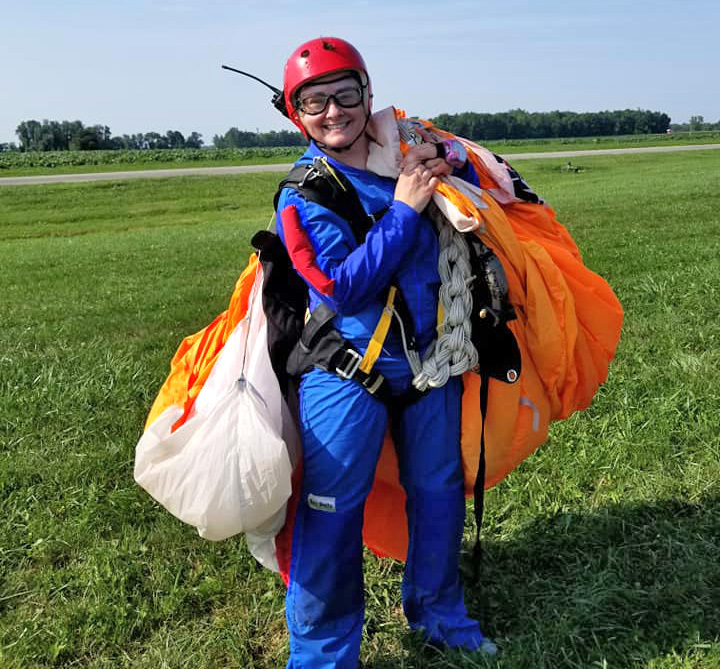 *While prices may vary from drop zone to drop zone, WNY Skydiving has developed a very reasonably-priced progression program in accordance with the United States Parachute Association (USPA). 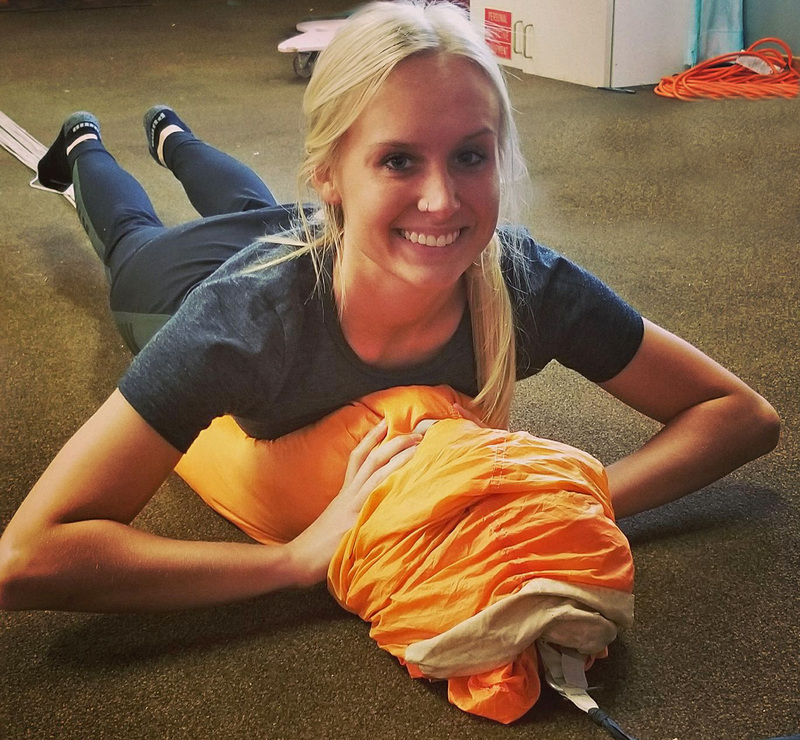 We train our students through an Integrated Student Program which is promoted by the USPA as a comprehensive training outline to effectively prepare a student for their A License. 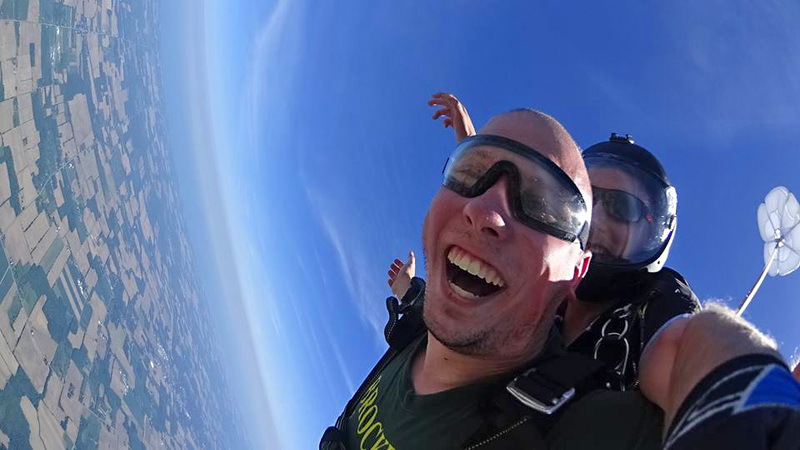 Upon passing your Tandem Skydive Level 2, you progress to the student program and are eligible for the First Jump Course, which represents the first step in the Accelerated Free Fall Program (AFF). Are you ready to soar? By yourself? The Accelerated Free Fall (AFF) Program gets you familiar with the gear and teaches you all you need to know to be able to jump solo. The First Jump Course is an 8-hour class that is broken up into self-study, classroom, and hands-on learning sections. The payment of $150 includes a Parachute Packing Class. If you are going to obtain your skydiving license, it is critical that you are familiar with how your gear works. The packing class helps to increase your familiarity with the skydiving gear and prepares you to pack your own parachute. The costs of each of these levels includes your training, gear rentals, and also covers the fees of your USPA-rated skydiving instructors. This package includes your First Jump Course, a class to teach you how to pack your parachute, a logbook, and 6 AFF jumps. After these jumps, you are cleared for self-supervised solo skydiving. 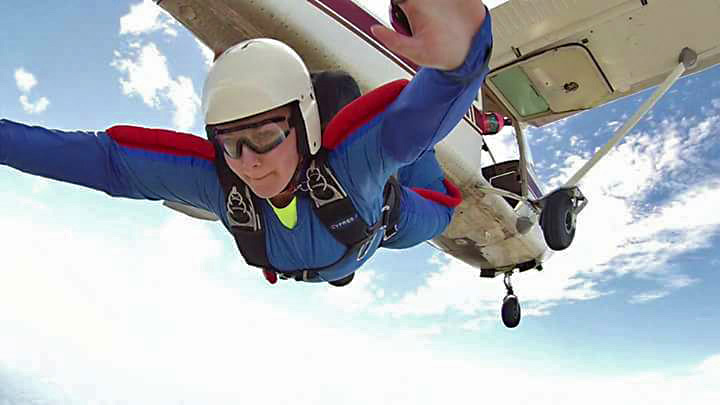 If you are interested in the Accelerated Free Fall Program but don’t want to complete a tandem skydive, this specialty package is just for you. This package includes the First Jump Course, 10 minutes in the vertical wind tunnel at iFly Toronto with a WNY Skydiving AFF instructor, and one guided skydive with your own parachute. On your skydive, you will have two AFF-rated instructors with you in free fall, as well as radio assistance to help you during the parachute descent and with landing the canopy. The final portion of the skydiving training leading to your certification as a licensed skydiver is the skydiving coach program. This section of the student program prepares you for more advanced freefall control. Each of your coach jumps will teach you the skills necessary to safely and competently skydive with other licensed jumpers. In addition to group freefall skills, you will also continue your education in parachute flight and safety. The cost of your coach jump includes your training, gear rental, coach fee – and of course the jump itself. At the end of the coach program you will be prepared to make your A license check dive and will graduate from the student program. Congratulations, you are now a licensed skydiver! So – what are you waiting for? Dive in and give us a call at 716-597-7393 to sign up today!